Are you looking for a choreographed martial arts show with a high impact and an entertaining performance to wow your guests? Energy Entertainments create spectacular martial art fire shows to suit your event. The show can be as long or as short as you like and will finish with an amazing finale of sparks. 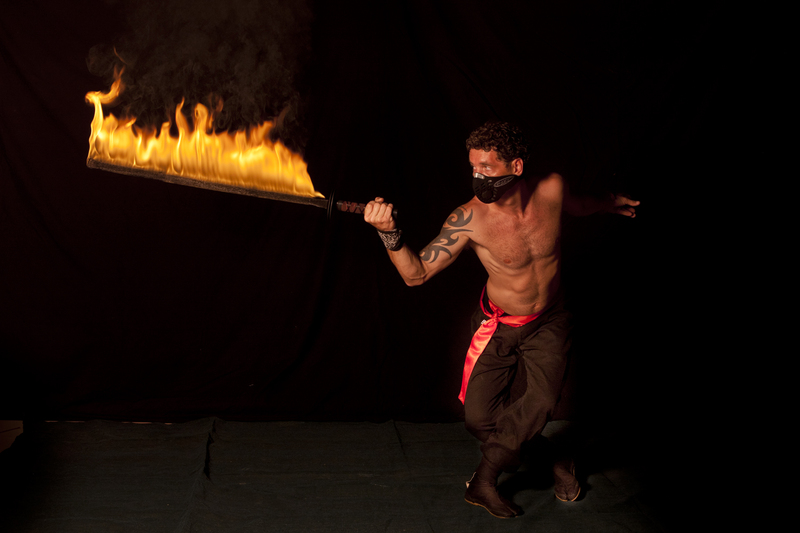 Everybody is entertained and mesmerised by FIRE but combined with martial arts it is a spectacle we all find hard to turn away from. Perfect for Chinese New Year Celebrations, Corporate Entertainment, Martial Art Festivals, Martial Art Events, Ninja Parties, Kids Parties, Chinese Openings and Celebrations etc………………..
Local to Queensland, Gold Coast, Brisbane. New South Wales, Sydney, Newcastle, Byron Bay. Looking for something different how about an Event Fire Sign? Click here to see the options.